Christmas is the festive season that we all look forward to. It is even more special for the little children. If you have little children then you may use this article for ideas on how the festival can be made more fun for children.Children are simple and are not judgmental. They will take all that you do with full zeal and without asking any questions. When you see the excitement and the passion in your children for Christmas you will feel even more special and you would like to walk the extra mile for them. Christmas, Santa, his sleigh and the reindeers. Tell them about how Santa clause visits all the houses and he gets gifts for the children who are good. You will see how attentively they will listen to the stories and the best part is they will believe all that you are saying without a doubt. That is the best part of telling a story to the children. How about leaving some signs of Santa’s visit to the house? Small things can help your children believe that Santa actually visited the house. You can make mark of Santa’s books near the Christmas tree. You can leave a piece of red cloth hanging at the door or a handkerchief with Santa Clause written on it. You can put some cookie crumbs on the gifts and around the Christmas tree to prove that the Santa did actually visit the house on the eve of Christmas and relished the cookies that were placed for him. so that the children might believe that Santa did actually visit the house. Kids nowadays grow very fast as early as five they may start doubting that Santa Clause actually exists and the above tricks can help the children believe in the legend. Some parents keep the windows open as a proof that someone had come in on the night of the Christmas while others ring the bell dressed as Santa. older kid. This is also a great idea as not always all the gifts can get into the stockings. You can also give the gifts on the evening of 24th December itself so that all the frenzy is over on that evening and 25th is a rather laid back day and no rush in the mornings. We would like to mention again that this can work for kids who know that Santa is a myth and not for the tiny ones who still have complete faith on Santa clause. Planning something special can add to memories. We all pick up things of decoration on Christmas. If you want to teach your child the value of memories you can try this. Take the child shopping and make him or her part of the shopping that you do. Let them chose what they like and involve them in the whole process. 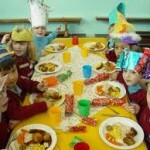 You can also tell them to help you with the cooking and planning for the Christmas party. Appreciate the ideas that they give and also try to incorporate some of the ideas to make them feel important. You can pick up a piece of decoration item each year and tell the child that you bought it when the child was one, then two and so on. You can also take out the old pictures of Christmas and make Christmas ornaments with them so that the child can relive all the Christmases that he or she celebrated as a child. This will also make them realise how important they are to you. You can also look at designing a new Christmas decoration or tree topper a year. This can be designed by you and your child. This can be stored for years. You can also mention the year on which you designed this tree topper. When you have a good collection you may keep them on display for a Christmas so that the visitors can see them too. Christmas is the time to give gifts to the family. When you are shopping for the family take the child with you. Let them chose a gift for the grand parents or for the others in the family. Teach them to pack the gifts and write messages on the same. You can also help them to make personalised cards and send them to the relatives. This will keep the kids busy and also make them more creative. As the child grows up you can collect all the cards that they made for you on Christmas and display them to the friends and family who visit you on Christmas. This will make the occasion more special for the child. You can give an address to the child and tell him to post the letter to Santa Clause with what exactly the child wants. You can read the letter and get what the child wanted. Store these letters so that they can be a gifted back to the child on some Christmas when he knows well where these letters were going too. Reading these letters can be fun and also very emotional at times. This can be a good way to bond the family and make the child realise how important it is to have a family. You will like the reaction your child gives when he or she gets the gift that he or she had requested for. We often do not give any roles to the children. This Christmas try giving them some tasks. For example you can tell them to arrange the gifts and give them to all those who come as per the names mentioned on the gifts. The child will treat this as a big honour and will love doing the job. You can also allow the child to make cookies and serve these to the guests who come. 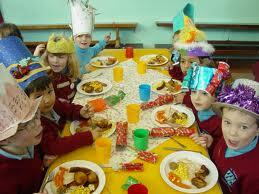 You can tell the guests how much your kids helped you with the party and the decoration. You can also distribute Christmas cards made by your child to the guests. All these can really make Christmas super special for the kids. A very important lesson that you can give your children is to teach them to do charity. Select an orphanage that you want to donate to. You can use the old stuff of the kids as well as buy new ones. Take the child for the shopping and also teach them to clean and wash the old stuff and pack them so that the children of the orphanage can use them better. Take the kids along as you visit the orphanage and see how involved and touched your kids will be. We hope that you will like these ideas on “How to make Christmas special for children” that we have shared in this article. Do try to use some of these ideas and see the reaction of your kids. We hope that this year you will make Christmas really magical for your kids. Merry Christmas to you and your family !!! Have a wonderful time with your kids.